Survivor Jane's New Release: "What Could Possibly Go Wrong??? How to Go From Completely Clueless to Totally Prepared"
While enjoying a fun-filled week at her homestead in WNC with her two; non-preparedness-minded - city-dwelling sisters - shopping, eating at great restaurants and laughing at the silliest of things; like sisters do, it dawned on Jane just how deep in the sand her head must have been before starting her journey into preparedness. It was like going back in time as she watched with interest, and sometimes humor, as her sisters shopped, shopped and shopped some more. Like she once was, her sisters were totally in the dark as to what was going on around them. They knew little to nothing of politics and current or world events; and were none the worst for it - or so they thought. When Jane would subtlety try to interject current events into their conversations, it was usually met with a pause, a quizzical look by both her sisters, before the discussion would once again reverted back to the latest movies, newest gadgets or celebrity crisis of the month. “Was I that naive?” Jane wondered. And, thinking back, the answer was yes – she was that naïve. Her former life revolved around family, working, shopping, eating and socializing - not necessarily in that order. What more did she need? After all what could possible go wrong? Jane has since learned that a lot can go wrong; from our nation’s unstable economy, to terrorism on our home front, cyber-attacks from other countries, EMP attack from above, and disasters; both natural and man-made - all of which, unfortunately, none of these our government is capable of saving us from. While most preparedness books on the market today are written by men for men, in her book “What Could Possibly Go Wrong??? – How to Go From Completely Clueless to Totally Prepared” Jane talks to the reader in a more conversational tone, more like a friend, about hard topics in an easy to understand, non doom and gloom way, by keeping it light with her own wit and humor, yet driving home the importance of preparing and what to do to prepare by using her personal experiences and knowledge learned along her journey. “What Could Possibly Go Wrong??? – How to Go From Completely Clueless to Totally Prepared” is available on Amazon in Paperback and Kindle. Five Stars: Five Stars!! - Survivor Jane's latest book, "What Could Possibly Go Wrong?" 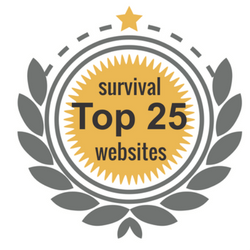 is chock full of information for about all things survival, from preparing for pandemics, super storms, nuclear fallout, food shortages and much more. Reading the book makes you feel like you are talking to your best friend who happens to know about this subject, and who also cares about getting you as prepared as possible. Yes, Jane does know of what she speaks, having lived through many personal and natural disasters herself. Because it is written in a conversational tone, with lots of personal stories, you can't help but get pulled right in. At the same time, it contains a lot of information and action steps you'll want to follow through. Another thing I like about the book is the frank and no-nonsense tone in which Survivor Jane brings up subjects that are left out of many survival books, with lots of humor throughout. I recommend you get the paperback version - you'll want to highlight all the ideas that apply to you and make some notes to yourself. It's rare to find a book that is both instructional and fun to read. I thoroughly enjoyed reading this book. You will too. - Bernie Carr, Bestselling Author of "The Prepper's Pocket Guide: 101 Easy Things You Can Do to Ready Your Home for a Disaster" and "The Penny Pinching Prepper"
Five Stars: So What Can You Do To Prepare? - We often hear that Preparedness is a journey, and not a destination. But for many people just getting started often seems overwhelming. Where do you start? What are you supposed do and more importantly, how should you to do it? In that confusion and frustration many folks just give up and decide that it's not worth the effort; this is always a very big mistake. Enter Survivor Jane. "What Can Possibly Go Wrong" (WCPGW) is Jane's latest book. She has also written two other very practical books - "Emergency Survival Hygiene" and "Where There Is No Cosmetic Counter." All of her books are straight forward, easy to read, and jam packed with useful information. Jane bring a tremendous amount of authenticity to the subject since her books are a direct reflection of her chosen lifestyle - What she describes in her books is how she actually lives. This latest book is an excellent example of the ease with which she can make the complicated easy. WCPGW is a great book for anyone getting started. It breaks down the various topics into well organized, easy to digest chapters. From Self-defense to survival mind-set and everything in between. I recommend all her books. You will not only learn many practical skills, but you will add them to your library and use them as a reference source for years to come. - Richard Duarte, Author of "Surviving An Urban Disaster: Quick-Start Guide"
Five Stars: Its Like Talking About Preparedness With a Good Friend - This is a mental preparedness book for the masses to get them up to speed quickly and start physically preparing for any chaos coming their way.. Jane Austin takes the somewhat daunting task of “prepping” or making preparations for a man made or natural disaster and turns it into a fun relaxing adventure that is not only filled with insider knowledge but stamped with her own trademarked brand of wit and humor. The book reads like someone has come to her asking for her expert opinions on a variety of subjects the week before a hurricane impacts or after all the shocking media headlines finally have caused them to decide that they need to ready themselves and their families for the dangers of this modern society. The book does not disappoint in its depth of pro active measures one can undertake without the doom and gloom and scary writings of some authors of this genre and leaves you with hope and understanding. If you could put her marvelous brain on the table and play with it for a moment you would find it was filled with not only emergency response techniques but many psychological insights to help you survive and thrive. I recommend this book. - Ron Foster, Bestselling Author of "The Possum Prepper Guide" and "Doing The Apocalypse Shuffle"
Five Star: Survivor Jane Covers the Unpleasant Topic to Help Us Survive - When faced with a disaster, or something more substantial, like TEOTWAWKI, you will regret not reading this preparedness guide by recognized expert Survivor Jane Austin. The number one cause of death in third world countries is hygiene related illness. After the SHTF, the survivors among us will experience similar conditions. In What Could Possibly Go Wrong?, Survivor Jane has it all covered. Geared towards women who are typically the family caregiver, she covers many unpleasant subjects in a matter-of-fact way in order to drive the point home. I suggest the paperback version of this book. You'll need it when the power goes down, trust me! - Bobby Akart, Bestselling Author of "Cyber-Attack" and "The Loyal Nine"
Five Stars: Excellent Book! This book tells you, as its name implies, what could possibly go wrong, and more importantly, what you can do about it. But what makes this book stand out from the many other preparedness and survival books on the market today is the style in which it is written, a much more conversational tone without the doom-and-gloom so common in other books of the genre (which often come across as lecturing their readers, rather than talking to them). She also uses less technical jargon and acronyms, fully explaining them when she does. She makes use of humor and personal experiences to make her points. 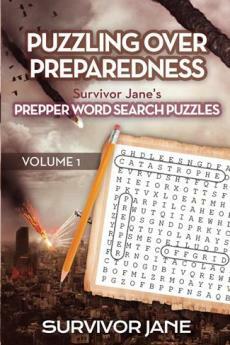 This style makes her book less intimidating to those new to preparedness and survival. Coming from a woman's perspective, with a woman's tone, women might find it speaking to them in a way that is more natural and comfortable. Five Stars: A Perfect Gift for the Non Prepared and Prepper Alike! LOVE LOVE LOVED It! Survivor Jane hits the nail on the head with this one! This is a perfect gift for those still in the dark and not prepared. It's now my GO TO prepping book! She has great advice for surviving hundreds of disaster scenarios - many of which I never would have though of! Five Stars: Recommended Book, Trusted Author Practical, friendly, and sensible advice from a well-known prepper and survival expert. Jane's advice just makes sense without crossing the line into paranoia territory. This book will be helpful to prepper newbies as well as to those who think they have all the bases covered. In a world where most books are written by men with a male perspective, it's refreshing to read a survival book that addresses survival issues from a woman's perspective and when you know that advice is plain smart, it's a winner! - Lisa Bedford "The Survival Mom", Best Selling Author of "The Survival Mom: How to Prepare Your Family For Everyday Disasters and Worst-Case Scenarios"